Celebrating the spirit of the Betsy-Tacy books, and the writings, books, and life of Maud Hart Lovelace. 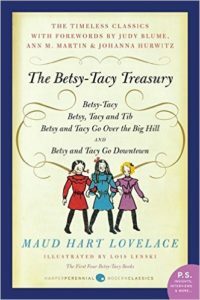 The Betsy-Tacy Society was established in 1990 as a non-profit organization dedicated to preserving the Betsy-Tacy books written by Maud Hart Lovelace. 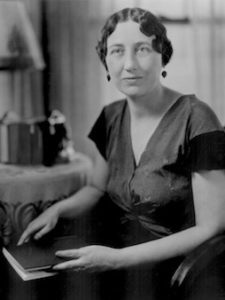 To promote and to preserve Maud Hart Lovelace’s legacy and her work, encourage and support literacy and conserve historic Betsy-Tacy landmarks in Mankato. 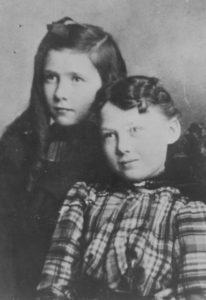 The Society owns Maud Hart Lovelace’s (Betsy) childhood home and the home of her best friend Frances Kenney (Tacy). 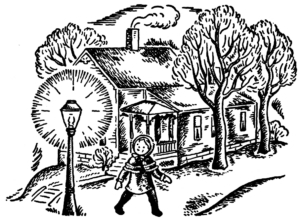 Each year hundreds of visitors from all over the country (and the world) come to Mankato, Minnesota, to visit these homes and the Mankato (Deep Valley) places Maud immortalized in her books. The Society sponsors events that educate and promote the Betsy-Tacy books, the author and her writings. The childhood homes of Maud Hart Lovelace and her best friend Frances ‘Bick’ Kenney (Betsy and Tacy) are owned by the Betsy-Tacy Society. The Society has restored the homes to their original turn-of-the-century charm. The Betsy-Tacy Society Board of Directors is the governing body for the member-supported non-profit organization. Per the BTS By-laws, each member can serve up to two three-year terms. The Executive Committee consists of the Board President, Vice President, Secretary and Treasurer. The Betsy-Tacy Employees coordinate open hours, private tours, and events; process orders; and keep open communication with everyone associated with keeping Maud’s legacy alive in the Mankato (Deep Valley) area.